It began with a sewing table. 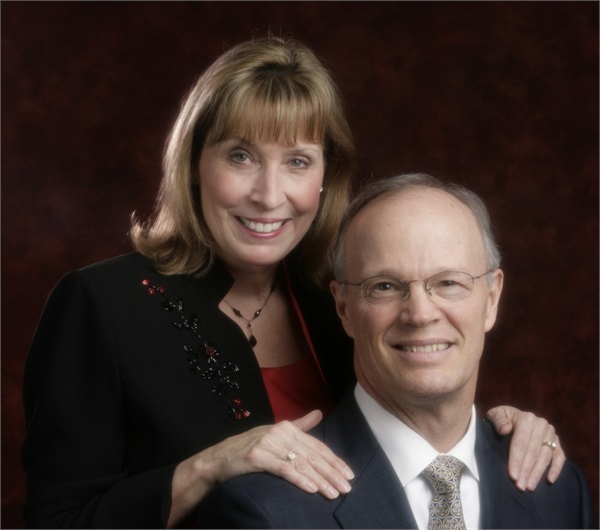 Today, the husband-and-wife team’s firm is almost 30 years strong. On Black Monday, October 19, 1987, the Dow Jones Industrial Average fell 508 points in the largest single-day drop in market history. The same day, a UPS truck delivered two boxes stuffed with financial textbooks to Bill Larson's front door in West Seattle. Those textbooks would become Bill’s world for three months until he passed his financial advisor certification exam. Almost immediately afterward, at age 37, the logger-turned-business-consultant began Larson Financial Group from a sewing table, having commandeered his son’s bedroom for the launch. It was his first entrepreneurial endeavor. “I had a telephone, some business cards and nothing else,” Bill says. He went door-to-door for the first two years, building a client base through old-fashioned community values. The company went independent in 1990. Glenda, a former Safeco manager, brought her big-business experience to Larson Financial Group in 2003 by becoming its operations manager. Even with Glenda’s management and Bill’s many years of consulting, teaching business classes and spearheading the Seattle Chamber of Commerce’s small-business division (which Bill created in 1978 as the chamber’s business development manager), nothing could prepare him for the challenges—and rewards—of owning a small business. Bill joined the NFIB Washington Leadership Council, taking a short break after 9/11 so that he and Glenda could volunteer with the Navy League Seattle Council (where he served as president and Glenda as treasurer). They continue their NFIB membership today, leveraging its support as their small business approaches its third decade. Running a financial services business is like being a “family physician of money,” Bill explains—a privilege that comes with great responsibility. Larson Financial Group’s website lists “meaningful communication” as a service alongside investment management and retirement planning.